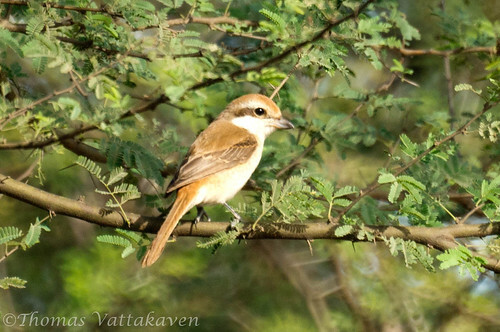 The Brown Shrike (Lanius cristatus) is a small bird belonging to the Shrike family. 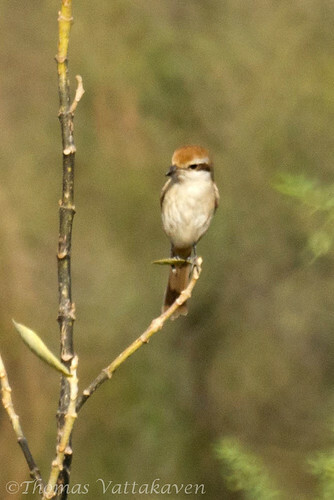 It has a reddish brown upper plumage, especially prominent on the crown and nape. There is a very prominent broad blackish line through the eye, often called as the “Bandit Mask”. 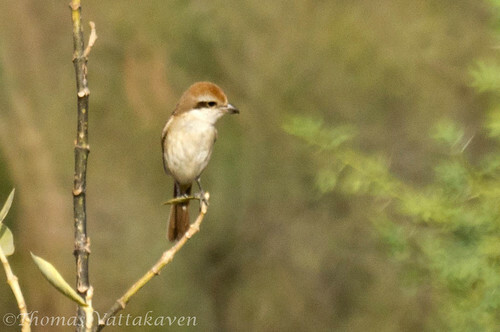 The wings are a darker brown colour while the lower plumage dirty whitish, whiter on the throat and belly and the breast and flanks are usually barred finely with black. It is commonly found in different types of vegetation including cultivation and dry scrub or mixed bamboo jungle to the fringes of forests. It usually perches on small trees, bushes or wires, from where it looks out for prey. When it spots the prey it launces itself to capture the prey from either the ground or mid air and returns with it to the perch. They breed between May-June and the nest is a massive cup of grass built in trees or thorny bushes. 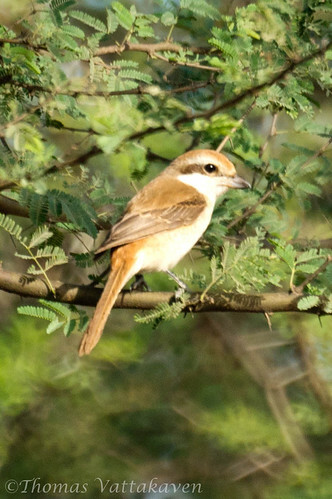 A closely related species is the Isabelline Shrike (L. isabellinus). 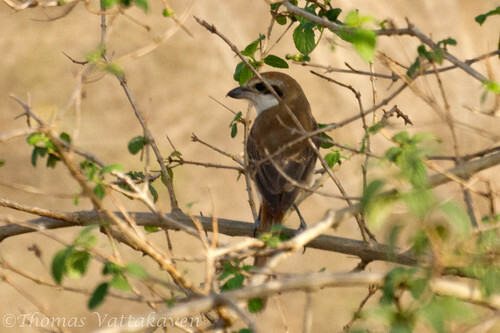 Other Details: A single bird seen sitting atop a thorny bush looking for prey. 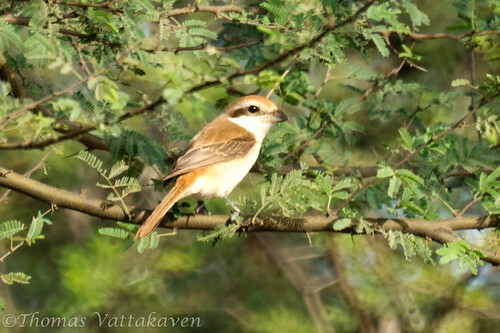 PS: A brown shrike was featured here earlier, spotted in Karimannoor, Kerala.